Costa Rica team members at practice at the 2018 Concacaf Women’s Championship at H-E-B park on Thursday, Oct. 4, 2018, in Edinburg. 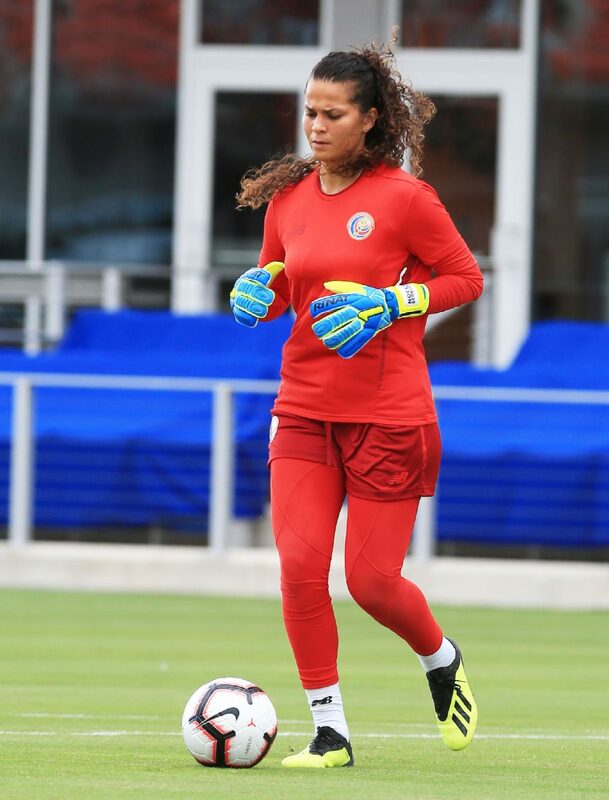 EDINBURG — Four nations make up Group B of the Concacaf Women’s Championship that will start competition today at H-E-B Park. The top two teams will advance to the knockout stage in Frisco, Texas, after three days (today, Monday and Thursday) of round-robin play. Each team will play all the other teams. The two finalists and third-place finisher in North Texas will earn bids to the 2019 Women’s World Cup in France. Canada comes to the Rio Grande Valley as heavy favorites and is joined by Jamaica, Cuba and Costa Rica in the group. They are ranked fifth in the world, according to FIFA rankings. Even as the top team in the group, Canadian coach Kenneth Heiner-Moller said his team will not overlook anyone. Canada kicks off against the women of Jamaica at 7:30 p.m. today. 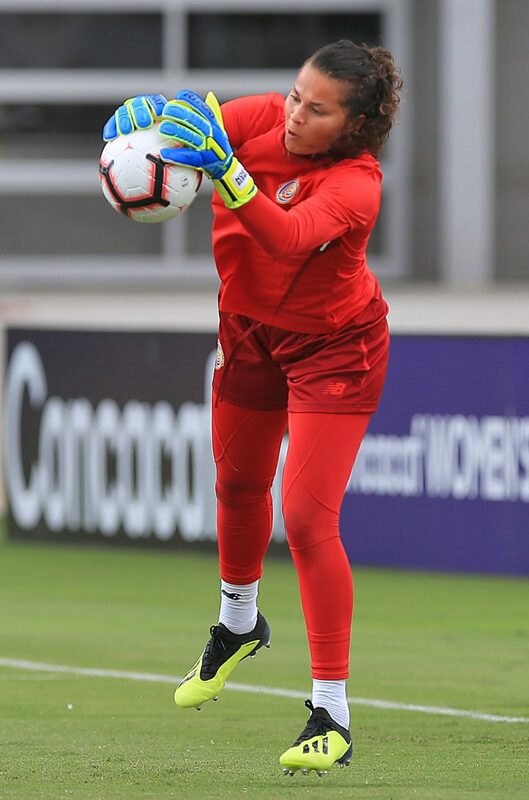 Costa Rica goalkeeper Noelia Bermudez at practice at the 2018 Concacaf Women’s Championship at H-E-B park on Thursday, Oct. 4, 2018, in Edinburg. The matches are significant because it marks the first time national teams, men or women, have played at H-E-B Park. Professional women’s soccer has played here when the NWSL’s Houston Dash hosted the North Carolina Courage in a regular season match. Canadian forward Ashley Lawrence is familiar with France, the site of the 2019 World Cup. The 23-year-old is a member of Paris Saint Germain Féminines. Canada boosts one of the top players in the world, Christine Sinclair. She has been a mainstay for Canada since bursting onto the international scene as a teenager in the early 2000s. She scored three goals in her first World Cup in 2003. The 35-year-old has 174 goals for Canada, which trails only retired U.S. striker Abby Wambach for most international goals. 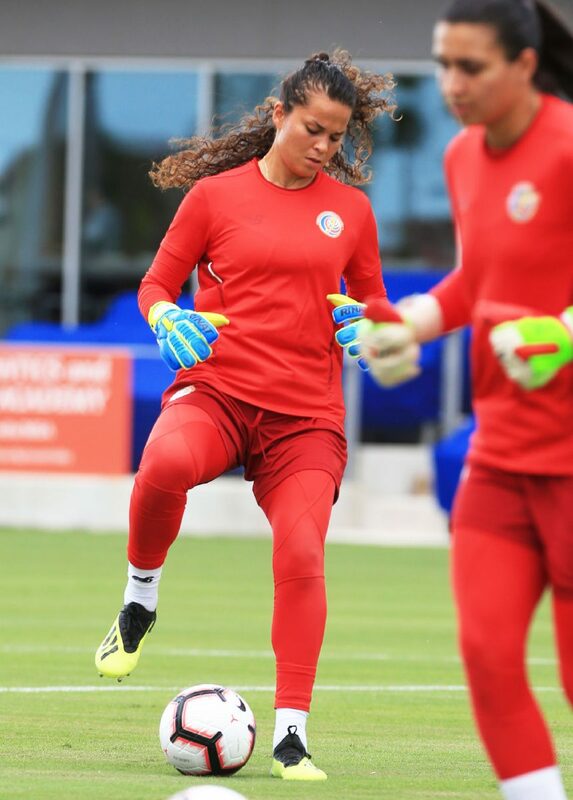 Costa Rica coach Amelia Valverde is making sure her team doesn’t overlook any opponent. The Costa Ricans begin their tournament against Cuba in the first match of the day, at 5:30 p.m. Friday. “They have great expectations for tomorrow,” Valverde said through a translator. “They’re waiting for the game to arrive because it’s an important game. Each game that they’re going to play in this stage is going to be important to their goal. The goal is to get to the World Cup next year. We have been watching Cuba’s games. Cuba and Jamaica enter as underdogs with a tall mountain ahead if they hope to qualify for the next stage, let alone the tournament in France. Costa Rica vs. Cuba, 5:30 p.m.
Canada vs. Jamaica, 7:30 p.m.
Jamaica vs. Costa Rica, 5 p.m.
Canada vs. Cuba, 7:30 p.m.
Cuba vs. Jamacia, 6:30 p.m.
Costa Rica vs. Canada, 9 p.m.